1. The Synimatica Short Film Festival is a quarterly online film festival competition administered and sponsored by Synimatic, LLC. Selected festival entries will be featured on the Synimatica Digital Distribution Platform for the duration of the Festival. The Synimatica Short Film Festival is featured on streaming video applications including but not limited to Amazon Fire TV, Apple TV, Roku, and Google Chromecast. A film is selected through the submission process, by a panel of judges who evaluate the submission via online secure online screeners. Further details of the Competition are provided in the Synimatica Short Film Fest online submission information(Materials). The Materials form part of these terms and conditions. 2. The judges will award prizes (as set out in the Materials). The prizes are not transferable or exchangeable. If a prize is unavailable for any reason, the Synimatica Short Film Festival may substitute another item of equal value as determined by the festival management team. 3. Entering the Synimatica Short Film Festival does not guarantee that you will win a prize or derive any other benefit. The prizes are awarded at the sole discretion of the panel judges. We are not responsible in any way for the decisions, actions, or conduct of judges. Our decisions (and those of the judges) in respect of all aspects of the Synimatica Short Film Festival are final. 5. Individuals may enter the Competition. To enter the Synimatica Short Film Festival, you must fully complete, sign, and submit the online submission form and pay the application fee by the due date in the online submission Materials. By doing so, you agree with to be bound by these terms and conditions. If you are under 18 years of age, you must have your parent or guardian submit and sign the application form on your behalf. We are not liable for late, lost, misdirected, incomplete or incorrectly submitted applications. 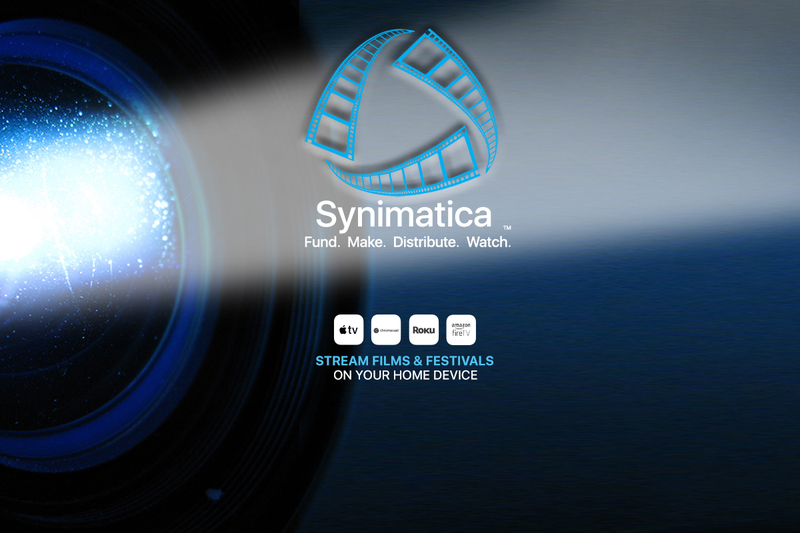 (b)	agree to authorize the Synimatica Short Film Festival to host your content if selected for the festival for access by Synimatica users on its supported streaming application platforms for 90 days in conjunction with the Synimatica Short Film Festival. (b) agree that your content will be accessible and viewable by Synimatica’s streaming application users only for a ninety-day period and will be accessible via supported streaming devices using secure authentication credentials issued by the Synimatica stream device application. (b)	agree that the scope of availability of the selected submitted content on the Synimatica Platform is at the sole discretion of the Synimatica, LLC with respect to platform channel, region of distribution, content delivery networks, device-specific platform applications, application versions, or specific streaming hardware devices the application platform supports within the period of film festival. “Synimatica” and will be physically removed from all storage media in its entirety upon completion of the period of the festival. (c)	agree that if your film is selected for inclusion in the festival, you have the option to submit your film for a distribution agreement on Synimatica but are not guaranteed distribution on the platform. (d)	agree that if your submitted film is selected for inclusion in the festival, its use on the platform is royalty-free within the terms and conditions of this agreement. Copyright owners shall not be entitled to monetary consideration in whole or in part for the use of the film on the Synimatica Platform in conjunction with the Synimatica Short Film Festival within the terms and conditions of this agreement. (b) warrant that you have the clear authority to enter this agreement and further represent and warrant that you own all clear right, title, and interest in your submitted film in connection with its use on the Synimatica Digital Distribution Platform and that by submitting this film for festival consideration and potential access on the platform, there is no infringement of any third-party rights . (b)	agree that the application fee is not refundable for any reason. 7. The Synimatica Short Film Festival may, at our sole discretion, refuse or exclude your application, at any time before the running of the Competition. If we do that, we will refund your application fee. 8. You must meet your own costs of preparing and featuring your submission. 9. If any aspect of the Synimatica Short Film Festival is not capable of running as planned because of any cause beyond our control, we may in our sole discretion cancel, terminate, modify or suspend the competition. (e)	are party to any act or thing act or thing prejudicial to our goodwill, commercial reputation or overall public image. 19. We may require that you provide us with photographs or video, or allow us to photograph or video you (the Media Materials), free of charge, to prepare promotional or other material for the purpose of or related to Synimatica Short Film Festival, you agree that copyright in the Media Materials is the property of the Synimatica Short Film Festival. 20. You give us unrestricted and irrevocable right to use and publish the Media Materials or reproductions or adaptations or modifications thereof in all forms and media including print and internet including social media for marketing, advertising or any lawful purpose for or related to Synimatica Short Film Festival. 21. You release us from any and all claims, actions, demands, suits, liabilities, damages, expenses and obligations of any kind arising from or related to our use of the Media Materials. (a)	we are not liable to you for any cost incurred or loss or liability you suffer in any way in relation to Synimatica Short Film Festival. (iii) your prospects of winning a prize; (iv) the effect of the Competition on your film; or (v) any other thing related to the Synimatica Short Film Festival. (c)	we exclude all other implied terms and warranties, whether statutory or otherwise, relating to Synimatica Short Film Festival and the subject matter of our agreement with you. (d)	we will not be liable to you for indirect and / or consequential loss arising from or connected to our agreement with you in contract, tort, under any statute or otherwise (including, without limitation, for loss of revenue, loss of profits, failure to realize expected profits or savings, loss of intellectual property, breach of confidence or any other commercial or economic loss of any kind) unless such loss arises as a result of our own willful misconduct. (e)	our liability to you for loss or damage of any kind arising out of our agreement with you or in connection with the relationship established by it is reduced to the extent (if any) that you cause or contribute to the loss or damage. This reduction applies whether our liability is in contract, tort (including negligence), under any statute or otherwise. (f)	our liability to you is limited in all cases to the amount of the application fee you have paid. (b)	any action by a third party against you or us in relation to your use of copyrighted material in relation to the Synimatica Short Film Festival. 25. You acknowledge that you have not relied on any warranty or representation other than those found in the Materials. 26. If any part of these terms and conditions is invalid or unenforceable, this agreement does not include it. The remainder of the terms and conditions continue in full force.